Banks here are rushing to introduce voice biometrics authentication for phone banking in Singapore as they step up their innovation and security processes. DBS Bank wants to introduce the technology, which identifies "unique voiceprints", by the end of the year to cut down the time to verify customers, it said in a statement yesterday. It will shave 20 to 40 seconds off the process, and "instead of having to remember passwords and answers to security questions, customers can be verified in 15 seconds or less as they speak to customer service officers", the bank added. OCBC Bank also plans to roll out the authentication process to all customers by the fourth quarter of this year, having introduced voice biometrics to a targeted group of retail customers last September. "These customers could use their voiceprints to authenticate banking requests for checking accounts and card balances, latest account transactions and the status of deposited cheques," OCBC said. Citi announced on Wednesday that voice biometrics authentication for customers in Taiwan had started. It is "the ability to authenticate and verify a customer's identity according to his or her voiceprint. A voiceprint, like a fingerprint, is unique to each person", Citi said. It said in a release that Australia, Hong Kong and Singapore will follow in the coming weeks, and the service will be rolled out in the region this year and the next. In fact, Citi Singapore has introduced the service to staff, who are also customers, on Monday . Ms Lena Low, DBS executive director of customer centre, noted this is a more secure method, as customers need not recall their personal identification number or worry about divulging personal information in public when on the phone. DBS added in the statement: "Customers with a sore throat or who have to speak in a noisy area would still be verifiable as their voices are profiled by a number of identifiers such as speed of speech, cadence and pronunciation. "Voiceprint cannot be reverse-engineered once stored." If the voiceprint authentication fails, the service centre officer will revert to security questions. Citi noted the voiceprint is stored in a totally secure encrypted form, adding that reducing the time - from an average of around 45 seconds to 15 seconds or less - means 66 per cent less time that is now spent on verifying details. Mr Rahul Joshi, Citi's Asia-Pacific head for consumer banking operations, said its call centres in Asia-Pacific receive about 35 million calls a year, of which a large portion is manually verified. "With voice biometrics authentication, we will make the verification process easier, faster, and more secure for clients," he added. Citi expects at least one million customers to actively use voice biometrics authentication in the next 12 months, growing to three million in three years. Banks have also improved the way a customer interacts with phone banking menus. OCBC, for instance, introduced speech recognition last month to personal banking customers, with 90 per cent of them having spoken requests on the phone recognised by the system. 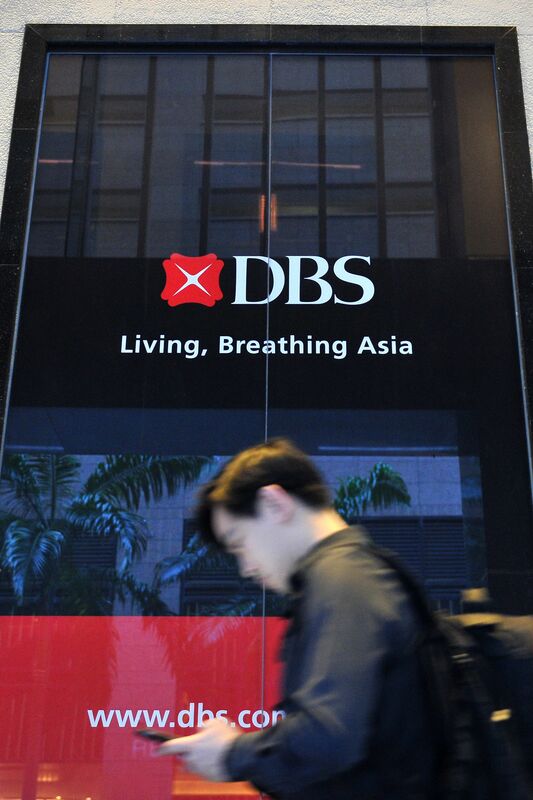 DBS upgraded its interactive voice response system last December, and one upgrade allowed customers to immediately reach customer service officers on the phone in urgent situations. Mobile developer Randy Valentius Kamajaya, 29, used OCBC's voice biometrics authentication in recent months and was pleased with it. He said: "I don't need to remember answers to questions like what my last transaction was or my mother's maiden name."